within the warranty period, maintenance of equipment and replacement of wearing parts are charge-free. Affer the guarantee is expired, we offer long-term maintenance service and supply of parts and components at cost price. We will response within 24 to 48 hours affer receiving your complaints by phone call or going to site. 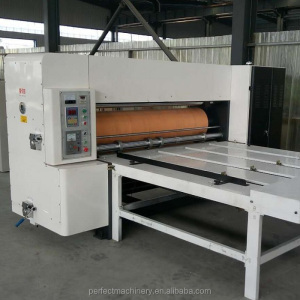 2) Paper roll automatic feeding by motor tractiong driving, automatic adjusting the die cutting position, become more convinient. If container is too tigher,we will use pe film for packing or pack it according to customers special request. If container is too tigher,we will use pe film for packing or pack it according to customers special request. 6 YRS Wenzhou Zhiwei Machinery Co., Ltd. 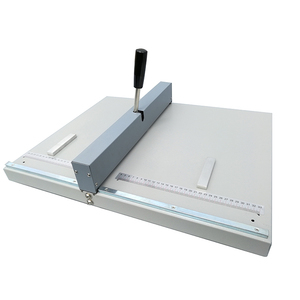 The operation height is reasonably designed, the open angle of the pressing plate is big enough. 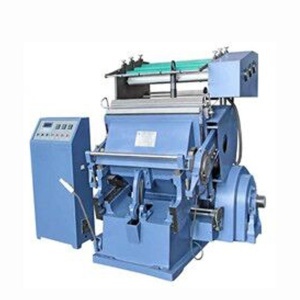 The time delay of the pressing plate can be adjusted. The torque of the gear is great, the pressing pressure is great. 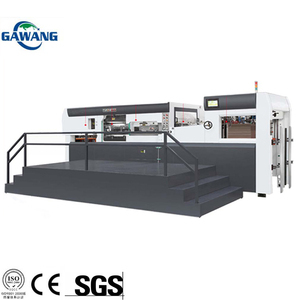 PLC and interface can display the speed of machine, amount of paper processed, running time and the reason of machine broken. Not only provide customer service, But also pre-sales system, including solution to product selection, storage of parts, technical guidance, operating training, exchange management platform and so on. ,Ltd is a specialized manufacturer with a long history producing hot foil stamping and die cutting machinery more than 21 years. High strength due to one piece casting by using top-ranking material for machine body. After-Sales Service * Training how to install the machine, training how to use the machine. Parts damaged because of mishandling and consumable parts are not covered by any warranty. Wind suction can be adjustable according to the paperboard size with high-power fans. Adopts pneumatic lock-up system on die cutting chase to increase efficiency. Adopts non-stop delivery system to insure paper delivery stable and fast. 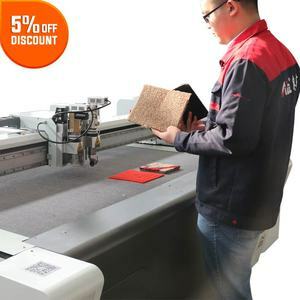 Free training in our company 12 hours on-line service, free support technically Well-adjusted machine before delivery, with operation manuals and disc. Service advantage: a strong and powerful sales and service team. 1&rdquo; as a principle: Promote and market products to help customers sincerely; Touch customers, provide customers with a full range of services. Table mat are imported from USA,the fiber board are durable,with good,permeability,very stable in thickness and shape. 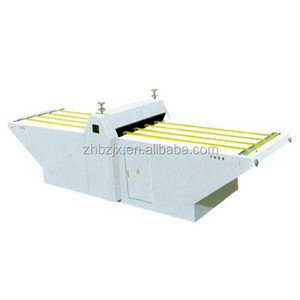 6.Red Ultra-light positioning device for printed work can be cut accurately in easy and quickest way. 2. We guarantee prompt warranty service for parts repairmen and replacement by international courier. Paper Size 1230&times;850mm 1320&times;940mm 1510&times;1120mm 1670&times;1250mm Min. Paper Size 350&times;450mm 400&times;500mm 450&times;550mm 500&times;550mm Max. 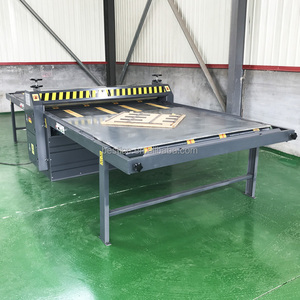 Die-cutting Size 1210&times;830mm 1300&times;920mm 1490&times;1100mm 1650&times;1200mm The minimum size in mouth 8 8 8 8 Max. 3 YRS Shanghai Estar Packing Machinery Co., Ltd.
Alibaba.com offers 11,788 box die cutter products. About 43% of these are carton printing slotting die-cutting machine, 15% are paper processing machinery, and 1% are other hand tools. A wide variety of box die cutter options are available to you, such as free samples, paid samples. There are 11,788 box die cutter suppliers, mainly located in Asia. 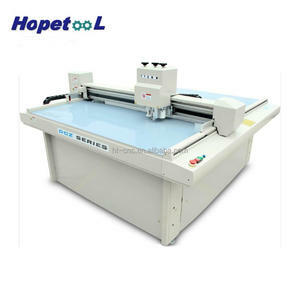 The top supplying country is China (Mainland), which supply 100% of box die cutter respectively. 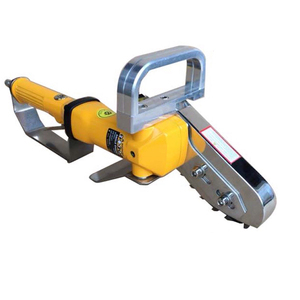 Box die cutter products are most popular in Mid East, Domestic Market, and South Asia. You can ensure product safety by selecting from certified suppliers, including 785 with ISO9001, 450 with Other, and 8 with BSCI certification.